Students are invited to celebrate Thanksgiving in the Warrior Zone at America’s Thanksgiving Parade presented by Art Van. Enjoy the parade in person as it makes its way downtown and have a great spot to view WSU’s new “Warrior Strong” float. The Warrior Zone — located in the outdoor green area at the southwest corner of Woodward and Warren Avenues — will include bleacher seating, a warming tent, restrooms and refreshments. Wristbands are available for purchase online. The Warrior Zone opens at 7 a.m.; the parade will step off at 8:45 a.m. at the corner of Woodward Avenue and Kirby, adjacent to the Detroit Institute of Arts in Midtown, and end at Woodward Avenue and Congress. 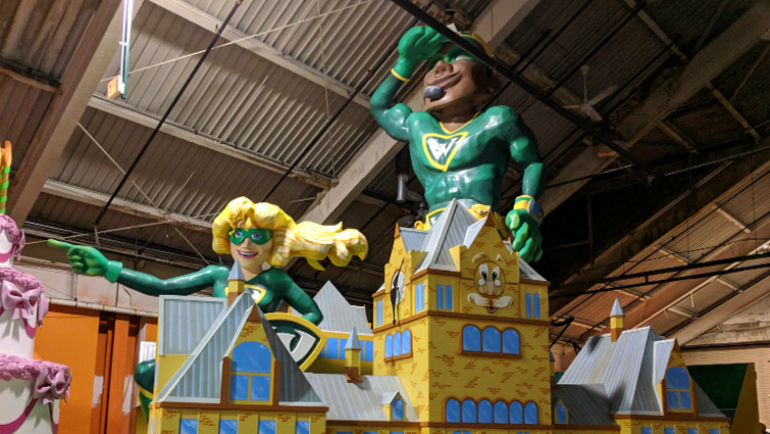 Wayne State University unveiled its new float, “Warrior Strong,” earlier this month during the 19th Annual Parade Pancake Breakfast presented by Blue Cross Blue Shield of Michigan. 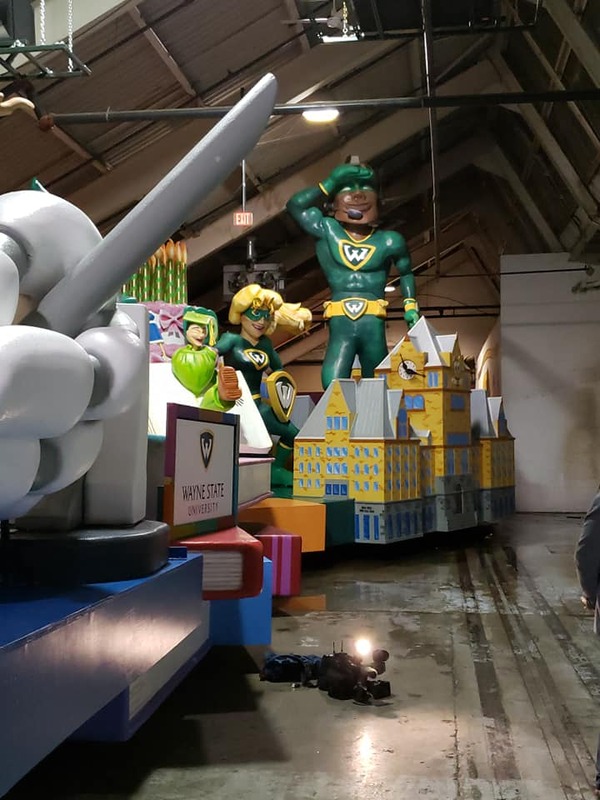 In celebration of the university’s 150th anniversary, the “Warrior Strong” float will make its debut at the parade, which will be broadcast nationally — reaching 185 major cities across the country. Helping Wayne State University celebrate 150 years on Thanksgiving morning are Cedric Mutebi, representing the Wayne Med-Direct program; Irvin D. Reid Honors College student Kavya Davuluri; Dazmonique Carr from the College of Education; and Michael Rachwal from the Mike Ilitch School of Business. 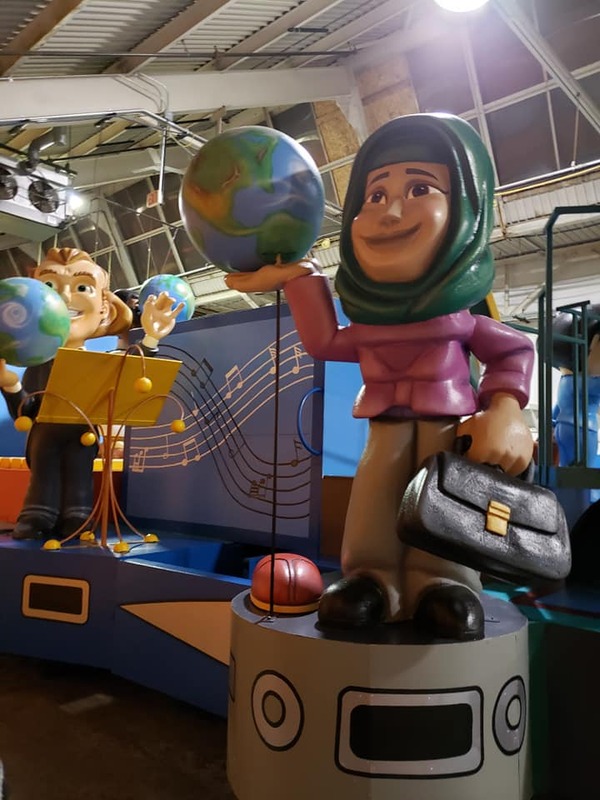 They represent the more than 27,000 students from around the world who attend Wayne State University, which just welcomed the largest freshman class in its history. Celebrating its 92nd year, America’s Thanksgiving Parade presented by Art Van takes place on Thursday, Nov. 22. To commemorate the life and legacy of longtime parade supporter Art Van Elslander, “Art!! Heart & Soul!” has been announced as this year’s theme. Three-time Emmy Award winner and five-time National Sportscaster of the Year recipient Jim Nantz will serve as Grand Marshal.